Research portals are a means to present, discuss, and advance scientific findings. They are web-based knowledge management tools for research communities. Research portals foster collaboration among a community of scientists, research funders, and political decision-makers. However, research communities might not possess the knowledge and experience required to design a research portal. The authors support them by analyzing the status quo of existing portals and providing respective improvement perspectives. The authors ask what typical characteristics of such portals are and how these characteristics can be used to evaluate the advancement of individual portals and they seek to distinguish classes of differently advanced research portals and determine their status quo. The authors’ research is based on a systematic web search, during which the authors identify 813 relevant research portals. Following a multi-method approach, they assign each research portal a previously distinguished class of advancement. The authors conclude that research portals generally only offer basic functionality and discuss functionality that is underrepresented in this pool of analyzed research portals and elaborate on improvement perspectives in 11 feature dimensions. Knowledge management is of high importance not only in business but also in academic and research settings (Tian et al., 2009; Wang et al., 2006; Schultze & Leidner, 2002). 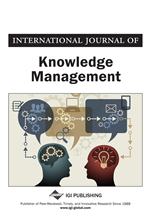 While businesses invest more and more in knowledge management (Babcock, 2004), the adoption of respective systems in academia seems to be stagnating (Jones et al., 2006). However, knowledge management in research communities is of utmost importance (Piccoli et al., 2000). This is due to the fact that contemporary research problems often exhibit an interdisciplinary character emphasizing the need to consider research results of various disciplines to solve a particular research problem (Carayol & Matt, 2004; Fox, 1992). Furthermore, the number of possible outlets as well as the number of publications in a single discipline is steadily increasing. The Index of Information Systems Journals lists 721 active journals for the IS discipline alone (Lamp, 2009). A listing of all possible IS outlets including conference and workshop proceedings may very well contain several 1,000 entries. This number still increases if one considers outlets and publications of all disciplines providing input to solve a particular research problem. Against this background of an interdisciplinary approach to current research problems on the one hand and an ever increasing number of sources on the other hand, research portals provide a means for presenting and exchanging ideas, research goals, and results in a structured manner. As science is a cumulative effort, in which new knowledge is often created by analyzing and combining existing knowledge (vom Brocke et al., 2009), research portals provide an effective instrument for managing knowledge in research communities. This is done by providing a means for disseminating knowledge on research results and acting as a marketing measure for researchers. Research portals are Internet-based knowledge management instruments, which present research activities through answering different questions like “who is conducting the research?”, “what is being researched?”, “what results have been achieved?”, and “who is paying for the research?” Thus, research portals foster the creation of virtual communities of practice (Palmisano, 2009; Wenger & Snyder, 2000) in research settings. To this end, they support internal communication in the community (Yu et al., 2010), but also have a strong focus on reaching external stakeholders and fostering the knowledge transfer between practitioners and academics (Rynes et al., 2001). This line of argument demonstrates that research portals serve to reactivate the discussion about knowledge management in academic communities which has been abated in recent years (Jones et al., 2006).